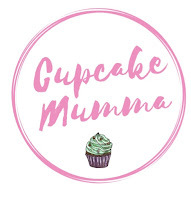 Cupcake Mumma: My New Project. If you follow my blog you'll know I often like to do things to cheer people up. You'll know that every month I send gifts out to those I know, family and friends, who are going through a hard time or have done something really quite wonderful and deserved a little treat. It's by doing these things that I have decided to start my own project: Project Kindness. I have a page here on my blog listing all the random acts of kindness that I would like to achieve. There is no set time, there is no limit to how many times I can do an act of kindness. The ones I've listed are acts that aren't so everyday. Everyday I like to smile at a stranger, look for someone who needs a hand, hold a door open or offer a place in front of me in the Que. The acts on my page are just that little bit more from me. I'll be continuing to send out monthly gifts and performing all sorts of acts of kindness that most of us do (sometimes without realising, sometimes just automatically because it's the 'right' thing to do) but this project will help me to give something back. To be less selfish. To grow as a human being. My children will also accompany me on many of these acts, so I believe I am paving the way for a future generation of kind, loving and giving people. As always, feel free to mail me if there is someone you think needs a little cheering up. Make a box before Christmas for a child or a solider. Cook my Husband a 3 course meal. All 3 courses will be his favourite foods. Have a 'Yes' day with the children. This leaves me at their every whim (almost) but in a good way! If its reasonable its a yes! That should keep me busy! I'll be blogging all of these acts so do keep an eye out on the blog! Wow, what a list Hannah, you are already a kind person just thinking about doing all these kindnesses. I love your list. It's made me think about how I could do more. See how your ideas keep on giving! Good luck with it. Wow Hannah, this is quite some list! Have you posted it out on Twitter as I'm sure if would catch on - there are so many people lately who are going through a rough time. Is it ok if I share this on my blog which I'm just about to update as I think it's such a great idea? I am new to your blog, I got here through #mbpw, and just wanted to say I admire your list and ambition to make the world a kinder place. I think it is needed very much.